KitMonsters – Roland MKS-80 Super Jupiter and MPG-80. The music makers’ guide to making music. 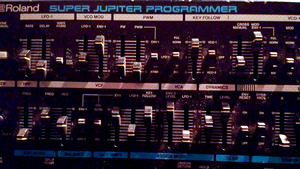 The Roland MKS-80 Super Jupiter is a synth module with features of both the Jupiter 6 and the Jupiter 8, as well as its own unique sounds, and is known for its great sound and flexibility. It is an 8-voice polyphonic analogue synth that was made in the 1980s. It has two VCOs per voice as well as VCF and VCA. It has a 64-patch memory and MIDI In and Out, as well as features such as after touch sensitivity. It comes with an MPG-80 Programmer that is mainly controlled by sliders, but has knobs to control things like Balance, Octave Shift and Glide. 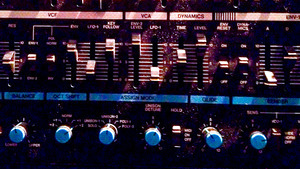 It is used by artists such as Aphex Twin, Madonna, Vince Clarke, OMD, Herbie Hancock and Blancmange.